In astronomy, an “analemma” is, according to Wikipedia, ” a curve representing the changing angular offset of a celestial body (usually the Sun) from its mean position on the celestial sphere as viewed from another celestial body (usually the Earth)”. 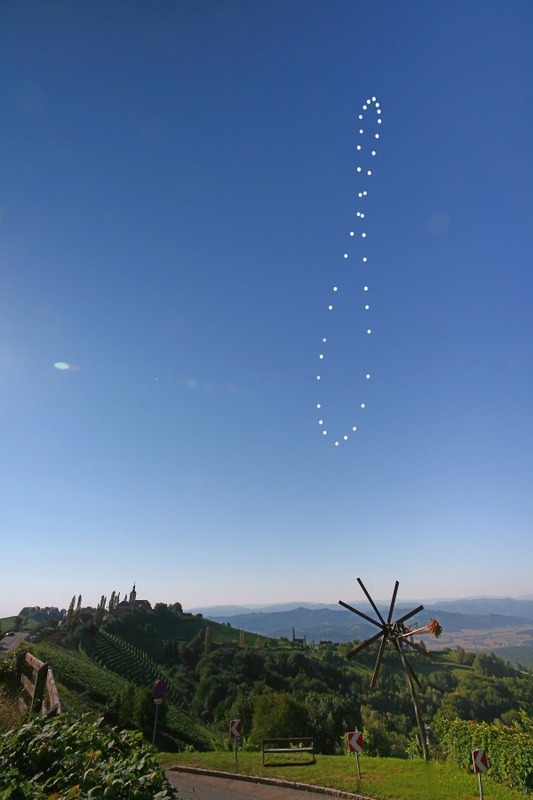 In more simple terms, an analemma is a figure-eight like shape that is created by the movement of the Sun in the sky over a certain time period. Today I have a photo to show you of just that.